Everyone thinks it is a bit of a pain having to logon to their EV server in order to read the event logs, to find out some information. You can of course, read the event logs remotely, and here I’ll describe how. 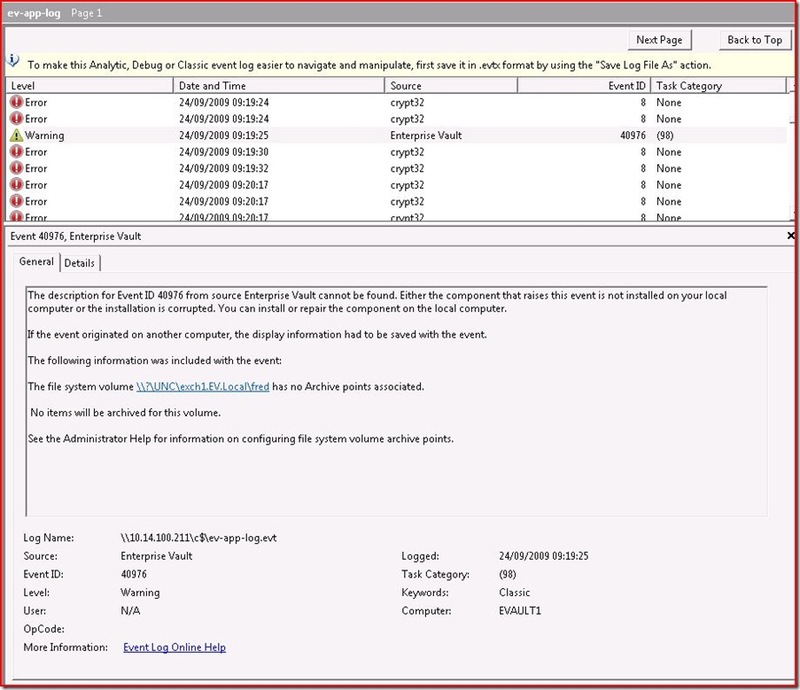 You have to grab the DLL VaultMessages.DLL from the Enterprise Vault server. These do vary from version to version of EV, so it’s best to get the one of your EV server, and make a note to replace it when you upgrade to the next service pack, or version. On your EV Server open the event log, and save out the application event log, and the EV event log to two different files. Copy those to your client machine. 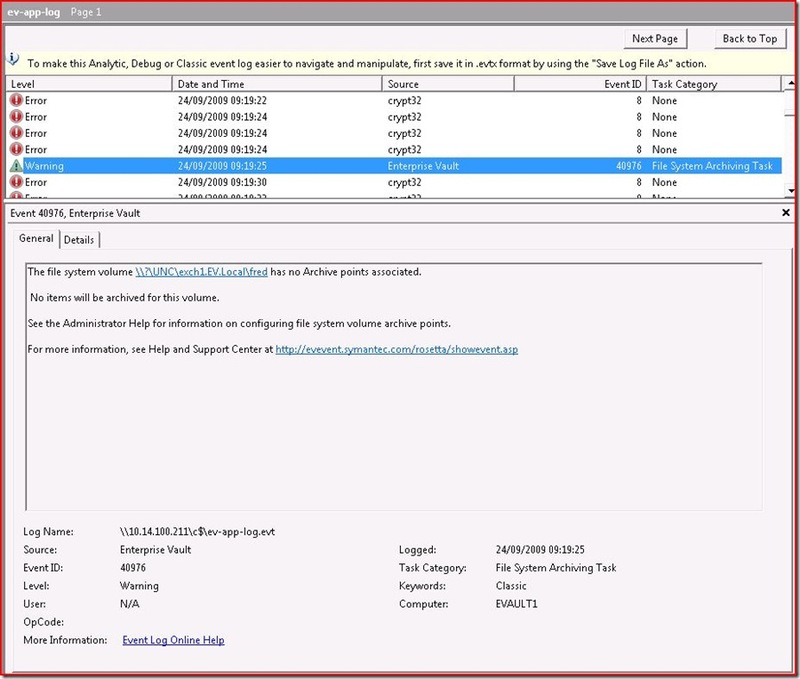 Now open the Event Viewer on your client machine, and open the saved log file.